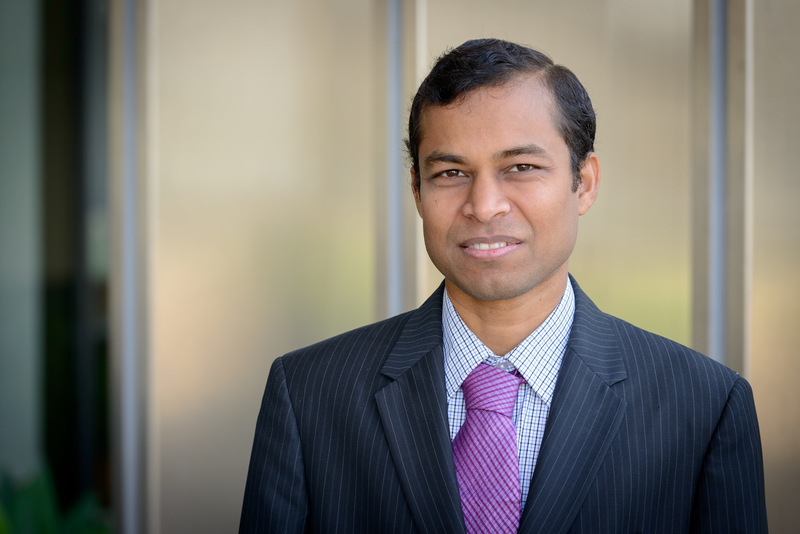 Debashis Sahoo, an assistant professor in both the Department of Pediatrics and the Department of Computer Science and Engineering at the University of California San Diego, has been selected as a participating member of the Cancer Genomes and Networks program at UC San Diego Moores Cancer Center. Members of the Cancer Genomes and Networks research program focus upon three thematic areas: genome instability, human cancer genetics and systems biology. Sahoo, who will focus on the latter two, plans to develop computational models for human cancer and predict important biomarkers and therapeutic targets. Sahoo’s journey into the world of cancer genomics was borne from an initial curiosity not about cancer cells, but computers. He studied computer science as an undergraduate at the Indian Institute of Technology in Kharagpur, India, initially focusing on theoretical computer science and, specifically, formal verification (FV), an area of computer science that has had a notable impact on hardware and software design. The goal of FV is to either prove or disprove, using formal methods of mathematics, whether or not an algorithm does exactly what it is supposed to do and nothing more, which can yield practical data with the hope of more efficiently solving problems in complex systems. He joined the UC San Diego School of Medicine in 2014 and received an additional appointment at the Jacobs School of Engineering in 2016. Sahoo began with B cells., Also referred to as B lymphocytes, they are a type of white blood cell, the progeny of hematopoietic stem cells. A hematopoietic stem cell can be considered the mother of all blood cells, as it is from these cells that each blood cell type arises. During development, stem cells can both self-renew, making more of themselves, and differentiate, becoming a different and more specific cell type. Sahoo theorized that he could devise a way to computationally predict B cell differentiation, and went to a leader in the hematopoiesis field, Dr. Irving Weissman, to share his idea. Weissman, along with the members of his laboratory at Stanford’s Institute for Stem Cell Biology and Regenerative Medicine, were studying how a hematopoietic stem cell can give rise to other blood cell types, such as B cells. Weissman is recognized as one of the premier hematopoiesis researchers of our time, his lab being the first to identify blood stem cells in mice and humans. “When I presented [Dr. Weissman] with this idea of a computational model that predicts what happens in B cell differentiation, he was surprised,” Sahoo recalled. “I said, ‘I can make predictions based on public data,’ and he said, ‘Let’s test it’.” Sahoo ran the test in Weissman’s lab and gave the resulting predictions to Weissman’s most established researchers. All of the gene predictions were gathered from human data sets and then tested on mice, yet they still yielded the expected results. Sahoo said that Weissman, who had been working on blood cell differentiation for decades, was blown away. Sahoo recalled Weismann saying to him, “What I couldn’t have done in 40 years you have done in a few seconds.” He subsequently invited Sahoo to join his team. At the time, Sahoo was a graduate student at Stanford. Three years after this meeting with Weissman, he finished his Ph.D. titled, “Boolean analysis of high-throughput biological datasets,” under David Dill, and Sylvia Plevritis. Following graduation, he left for Stanford’s Institute for Stem Cell Biology and Regenerative Medicine, where he was offered a research fellow position to work alongside prominent scientists of varying research backgrounds. There, Sahoo became fully immersed in modeling biology as a complex physical system. Cancer arises when the normal process of cell differentiation goes awry; specialized cells that are damaged are replenished by cells that are often referred to as “cancer stem cells.” The cells are so-named because they differentiate in a way that mimics what we see in normal tissue, yet their division is uncontrolled and disorganized, leading to tissue invasion that is often deadly. Working on bladder cancer, Sahoo discovered biomarker Keratin 14, or KRT14, which can be used to help predict patient survival. A biological marker, or biomarker, is something that indicates a certain condition, such as cancer, helping a doctor to determine a patient’s prognosis. In this case, the gene KRT14 was shown to significantly associate with poor patient survival in bladder cancer. Currently, the cheapest and easiest way to diagnose a cancer is through simple immunohistochemistry, a method that tests for specific proteins in cells using antibodies known to bind to those proteins. Because genes function primarily by being expressed in their protein form, this method is a way of testing whether or not a gene is still being expressed. Now that the KRT14 gene is recognized as a bladder cancer biomarker, KRT14 protein can be tested for to help predict patient survival. In high-risk bladder cancer, a patient’s bladder is often removed. If the cancer returns, that indicates that the cancer has moved to another region of the body. Sahoo and his colleagues showed that, for a patient whose bladder had been removed, if the cells in the bladder were KRT14 positive, the cancer has more than likely spread to other areas in the body. This was shown to predict a patient’s prognosis better than anything had before. It was so exceptional, in fact, that it beat one of the best analyses of the time, called “stage” and “grade.” The “stage” of a tumor describes its size and spread from its place of origin, and the “grade” defines the appearance of cancerous cells. Sahoo’s work was ultimately published in the Proceedings of the National Academy of Sciencesin 2015, and presented as a new way of identifying high-risk bladder cancer patients, yet discovering this bladder cancer biomarker was only the beginning for Sahoo. The impact of Sahoo’s work lay in the fact that the algorithm he developed was remarkably general. Using this algorithm, one can study both normal and cancerous processes in any tissue, all based on public data, allowing for the prediction of biomarkers in other forms of cancer. Sahoo expects that its eventual impact will be monumental. More recently, Sahoo applied this same algorithm to colon cancer data, searching for biomarkers of cells differentiating in colon tissue. Of the candidate genes identified, CDX2 ranked as most likely to be implicated. Sahoo and his colleagues found that there was a decreased five-year disease-free survival rate for CDX2-negative colon cancer patients, compared to CDX2-positive colon cancer patients. This result ultimately led the team to suggest that patients with stage II or stage III CDX2-negative colon cancer could benefit from chemotherapy and surgery, not just surgery alone. Sahoo says he’s also interested in researching the microbiome, or the microorganism landscape that exists throughout our bodies. In recent years, the field of microbiome research has exploded, as researchers have found microbiome associations with disease and overall fitness. Sahoo’s computational approach has the potential to shed light on these associations. He hopes to use properties of the microbiome that are invariant across tissues of humans to find an underlying, common, biological link among all bacteria that favors an environment, and then use those findings as a tool for disease management.